The final season of CSI as it turns out. All over bar a concluding tv movie. And the final series was… unremarkable. I know I watched all the episodes, but I can’t really think of much to say about it. It was fine? The seasonal serial killer worked pretty well and rippled through enough episodes that the season felt like it bonded things together, but the rest of the episodes were the usual mix of stupid and forgettable. 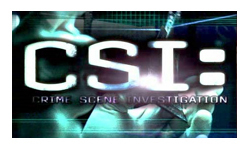 Each season of CSI has felt like it tried to concentrate it’s CSI-ness and simultaneously moved away from what actually made CSI original in the first place. It didn’t quite become a self-parody, but it was heading in that direction. The original cgi graphics of microscope views and freeze frames and things from the early series now just feel like they’re filling time to accompany some tie in deal with a new song. The science wasn’t about being accurate and educational, but focused on gadgets and technobabble. The CSIs that started out as scientists turned into gun toting detectives, shouting at suspects and delivering punch lines. On the plus side the camaraderie never really went away, even if it did seem that each new person was treated like they’d always been there. A little bit of tension wouldn’t have gone amiss (in fact I think that was where Brass was most missed this year). It does feel bad to say goodbye to such an institution that was so influential. But no one can claim that 335 episodes wasn’t a good innings and that it wasn’t time to retire.